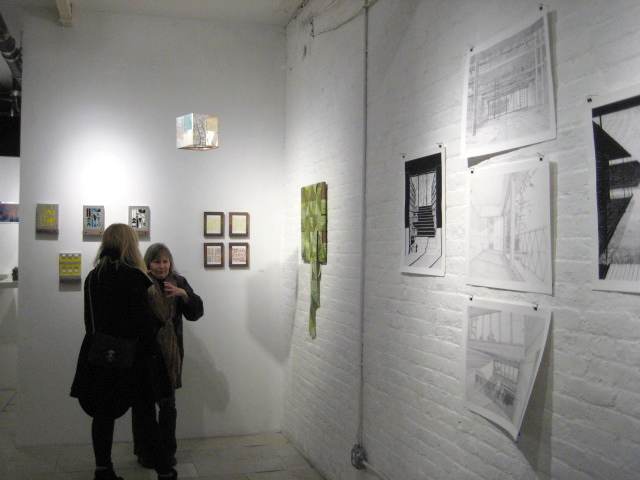 The opening night of current exhibition at AG Gallery; PLANE & SOLID, was held on February 3. We would like to let you know what an amazing opening night we had and really appreciate everyone who visited our space. Thank you for being interested in our new exhibition and we hope to meet you again soon. The exhibition will be on view through March 25, 2012. PLANE & SOLID is a group exhibition emerging 6 artists not only from NY also other states and Europe. Media of the works are also a variety of “Plane” and “Solid”, like prints, drawings, photographs, sculptures, mixed media works, and so for. You are welcome to stop in and enjoy artworks anytime you like. We open everyday, noon to 8ish. Questions? Please feel free to contact us at info@aboutglamour.net.